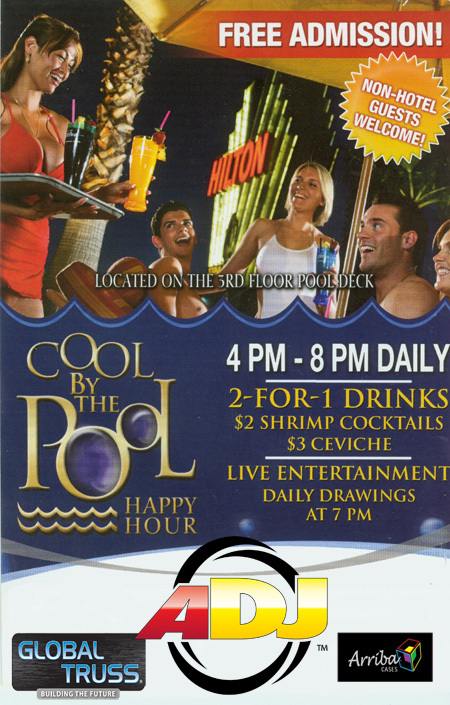 On Monday September 9th, 2013, come enjoy a relaxing happy hour by the pool hosted by ADJ! This is always an awesome event, warm breezes, cool drinks & you can even take a dip in the pool if you like, all backed by live music. Free Drink Tickets to the first 250 pass holders! Last year this was one of the most popular evening events at the show. Remember, this is Las Vegas and the sights and sounds poolside will be as incredible. Not to mention that it will be hosted by iconic 80’s DJ Richard Blade! Who knows who might join him!